The Blaine County Sheriff’s Office reported Wednesday that no clues had yet surfaced into the whereabouts of a 47-year-old Hailey man who has been missing for nearly a month. Stephan Michael Romanchuk was last seen or heard from in the area on Jan. 15. Carpita said investigators have been contacting anyone who knows Romanchuk but no one seems to know where he is or why he is missing. “There’s just nothing pointing into any direction as to why he’s missing,” Carpita said. Romanchuk was self-employed providing snow-removal service and cleaning services for local grocery stores. Carpita said Romanchuk has lived in the area for about a year and that he moved here from Coeur d’Alene. Romanchuk has no court record in Idaho. Carpita noted that there were financial problems because of a slowdown in business. 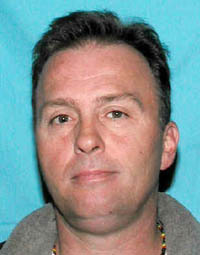 Romanchuk was last known to be driving a 1997 dark maroon Chevrolet pickup with a Myers snowplow attached to the front. The license plate number is Idaho K486757. The Idaho Missing Persons Clearinghouse, maintained by Idaho State Police, describes him as 5 feet, 10 inches in height, weighing 165 pounds and with brown hair and brown eyes. Anyone with information regarding Romanchuk is asked to contact the sheriff’s office at (208) 788-5555.